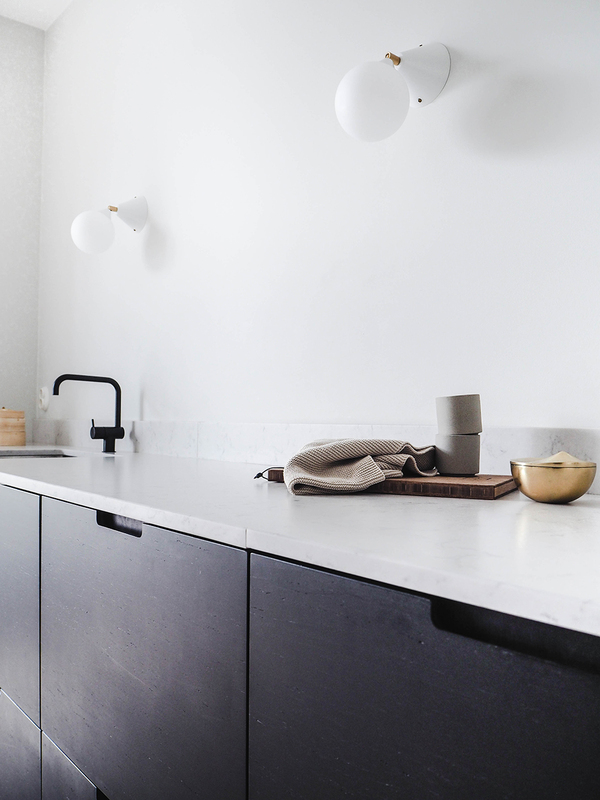 The renowned Norwegian interior stylist- and designer Elisabeth Heier has a unique way of combining honest materials in a clean and architectural way. 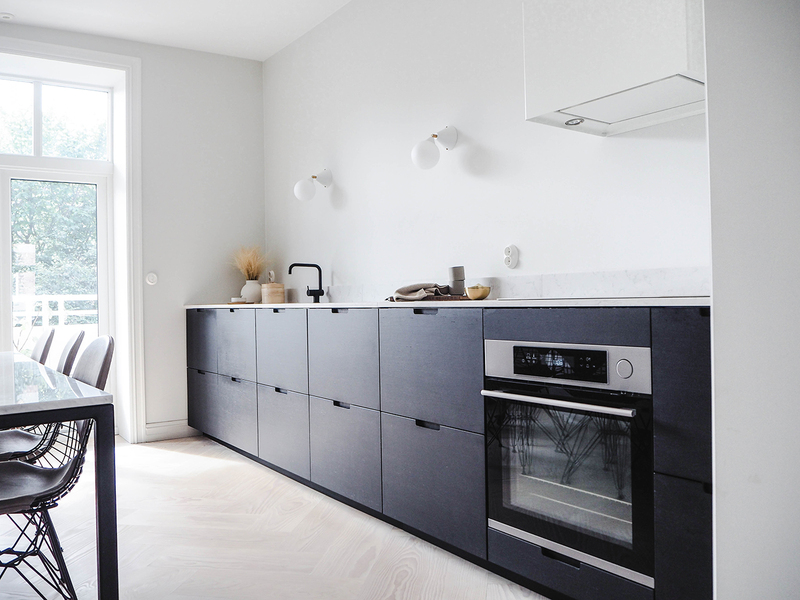 So when she approached Ask og Eng and asked us to be part of her latest renovation and create her a new kitchen, we could not have been happier. 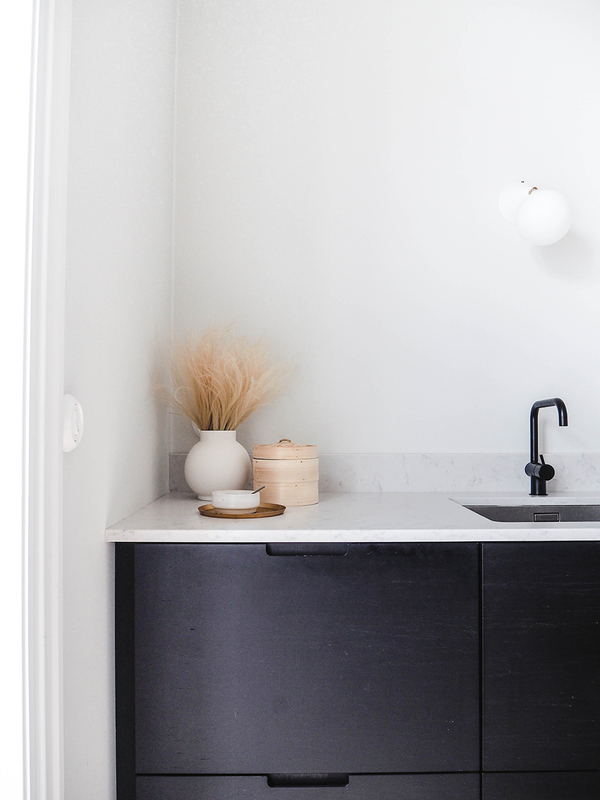 For her new kitchen she wished for a contrasting color to her cool, grey walls and light Dinesen floors, and therefore went with our bamboo fronts in the color Coal from our A collection. Her apartment has many classical features, which made the Notch handles a nice detailing. 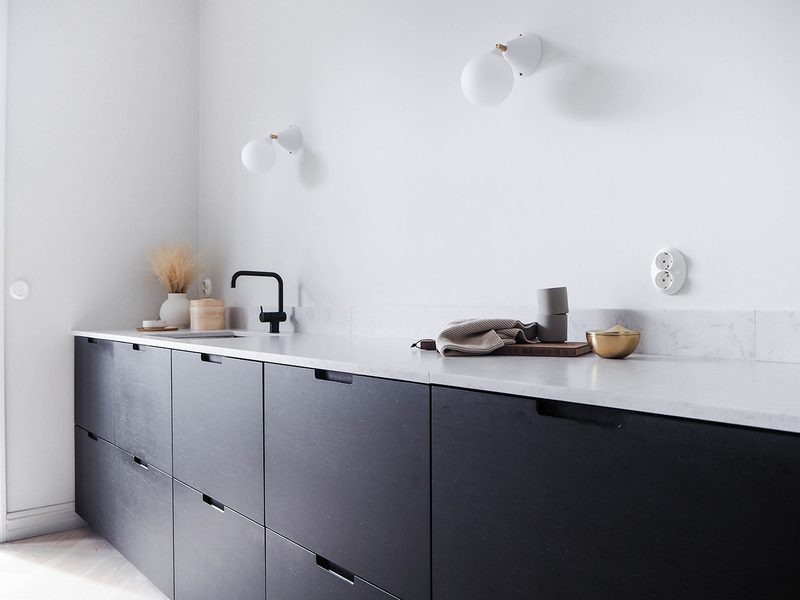 "When designing my apartment I wanted to create a space of calmness. A space to feel grounded. Choosing a dark bamboo kitchen emphasized this feeling and makes the kitchen a natural place to gather, both for me and my children - and for everyone who visits. For me it means a lot to know the kitchen is made for me, by talented Ask og Eng, who is very passionate about their designs and how to make every kitchen unique."